Drug Stores and Pharmacies are the retailers of prescription drugs, as well as a selection of over-the-counter medications, Health, Beauty & Wellness (HBW) products, consumer electronics, food, and other consumable goods. Some retail drug store and pharmacy brick-and-mortar retail locations also provide in-store health clinic services and photo processing services. The retail drug store and pharmacy segment of the U.S. retail industry include brick-and-mortar websites, Internet shopping websites, and mail-order companies, but does not include hospitals and clinics. 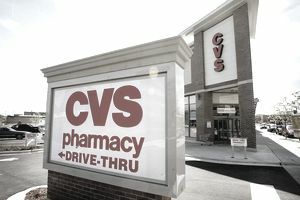 Even though they are in the same retail niche selling the same types of products and services, the largest drug store and pharmacy chains in the U.S. each have a unique mission, vision, and values statements which are the driving force that defines their brand, employee culture, and customer experience. These days, many of the largest retail outlets for prescription and over-the-counter drugs are not drug stores at all. Most of the major discount stores, grocery stores, hypermarkets, and warehouse stores are all fighting for consumer dollars spent on medications and health and wellness products. The reason why grocery stores, hypermarkets, warehouses, and discount stores have added pharmacy services to their product offerings is that of the prescription drug retail sales that are generated each year by U.S. consumers. To any retailer with the eye on their bottom line, retail prescription drug statistics are hard to ignore. The reason why so many retailers are crowding the traditional Drug Store and Pharmacy in the U.S. space is that the business of retailing drugs is big business. The answer to why drug stores and pharmacies are such a significant part of the U.S. retail industry can be found in current consumption, pricing, and spending statistics from the drug industry itself. 48.7% - Percentage of U.S. consumers who have used at least one prescription drug in the last 30 days. 21.8% - Percentage of U.S. consumers who have used three or more prescription drugs in the last 30 days. 10.7% - Percentage of U.S. consumers who have used five or more prescription drugs in the last 30 days. 15% - The percentage that specialty drug spending increased between 2014 and 2015. Looking at this data and considering the ubiquitous presence of the largest drug stores, hypermarkets, grocery stores, and retail warehouse chains in the U.S., it might seem logical to conclude that the big chains have driven independent drug store and pharmacy retailers out of business. Surprisingly, though, the Independents are holding their own. As of June 2016, there were 22,814 Independent Drug Store Retailers in operation Excluding the non-drug store retailers who are selling drugs; the Independent Drug Stores are beating the largest drug store chains in a number of locations. Which Retailers Sell the Most Retail Prescription Drugs? The biggest competition for the largest Pharmacy and Drug Store chains, however, doesn't come from brick-and-mortar retailers at all. "Mail pharmacies," which are suppliers of prescription medications delivered exclusively by mail, are dominant retail suppliers and formidable competitors for all retailers selling prescription drugs in a physical retail space. With all that retail prescription drug revenue, it seems like the average retail drug store wouldn't need to sell anything besides prescription drugs to be profitable. In fact, prescription drugs have a relatively low-profit margin compared to other Health, Beauty and Wellness products sold in all of the largest retail drug store chains. That's why the pharmacies in drug stores are getting smaller, and aisles of non-drug merchandise are getting larger.